Prince Desiré in “The Sleeping Beauty”. The fact that for Russian ballet lovers, and even the general public, my last name has come to symbolize my home, the Bolshoi Theatre and my work. This even though my last name is so difficult to pronounce. Can you tell a funny or embarrassing anecdote on stage at the beginning of your career? Once, I was engaged in a mime role in “Raymonda”. I was falling ill and began to have a fever, but I didn’t notice. I was sitting in backstage waiting to go on, and because I was feeling cold I put on my warm-up pants. That gave me some comfort and I fell asleep. When time came to go on stage, I ran out just as I was, in my warm-up pants. The audience laughed, but thankfully no punishment followed. They had to take me straight from the theatre to the hospital. My greatest fear was to be short of breath, which is why I spent much time working on my endurance. Competition – this is wonderful, this is your chance. But the implication of our profession is ballet performance. 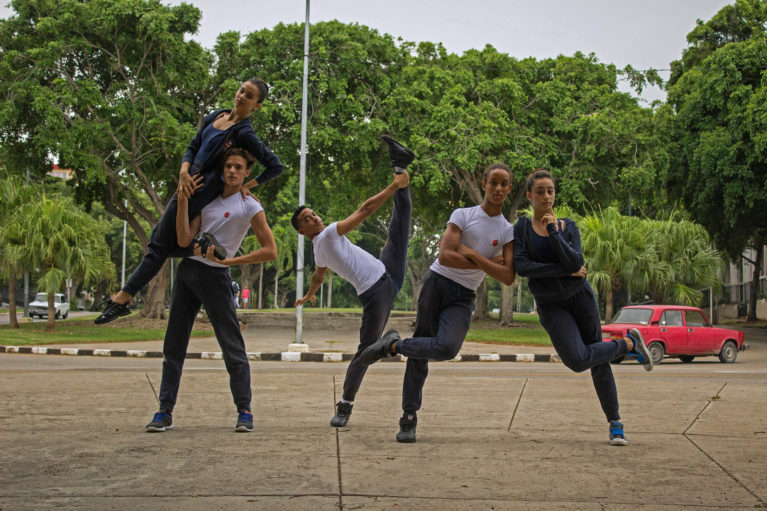 Not all dancers who can and who become ballet artists, those who are in the lead ballet roles, participate in competitions. I wish the Prix de Lausanne participants to believe in themselves. 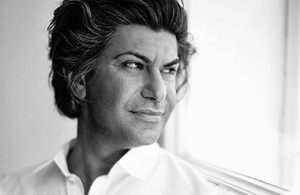 Nikolai Tsiskaridze was born in Tbilisi, Georgia, in 1973. Не started dancing at the age of 11, training at the Tbilisi State Choreographic School. In 1987 he was admitted to the Bolshoi Ballet Academy in Moscow (class of Professor Piotr Pestov). Invited by Yuri Grigorovich, Nikolai joined the Bolshoi Ballet in 1992, where he studied with Galina Ulanova, Marina Semyonova and Nikolai Fadeyechev. After a brief period in the corps de ballet, he became a Principal in 1995. Over the course of his dance career Nikolai Tsiskaridze has performed over 70 roles in major classical works as well as in ballets by Yury Grigorovich, Leonid Lavrovsky, Mikhail Fokine, Kasian Goleyzovsky, Roland Petit, John Neumeier, Pierre Lacotte, Rudolf Nureyev, George Balanchine, William Forsythe, Kenneth MacMillan, Boris Eifman, Fleming Flindt, Christopher Wheeldon, Nacho Duato. His most prominent roles include Mercutio (Romeo and Juliet, The Master of Ceremonies (The Golden Age), the Nutcracker Prince (The Nutcracker), Prince Siegfried and Rothbart (Swan Lake), James (La Sylphide), the title role in Paganini (by L. Lavrovsky), Ferkhad (The Legend of Love), Solor and the Bronze Idol (La Bayadère), Prince Desire, the Blue Bird and Carabosse (The Sleeping Beauty), Albrecht (Giselle), Jean de Brienne (Raymonda), Lord Wilson/Taor (The Pharaoh´s Daughter), Theseus/Oberon (A Midsummer Night’s Dream), Quasimodo (Notre-Dame de Paris), Chevalier des Grieux (Manon), Conrad (Le Corsaire), Teacher (The Lesson), Lucien d’Hervilly (Paquita), Le Jeune Homme (Le Jeune Homme et la Mort) as well the title roles in Les Sylphides, Le Spectre de la Rose, Afternoon of a Faun, Symphony in C, Rubies (from Jewels by G. Balanchine), Narcissus, In the Middle, Somewhat Elevated and Fallen Angel. In 2001 Nikolai Tsiskaridze was selected by Roland Petit to create the demanding title role of Hermann in The Queen of Spades exclusively choreographed for the Bolshoi Theatre. Since 1997 Nikolai Tsiskaridze has regularly performed with the Mariinsky Ballet and in December 2001 made his debut at the Paris Opera as Solor in La Bayadère (by Rudolf Nureyev), having repeated his appearance with the Paris Opera Ballet as Drosselmeyer/Prince in The Nutcracker (by Rudolf Nureyev) in 2009. He also participated in most of the foreign tours of the Bolshoi Ballet, “Kings of the Dance” international project, Les Saisons Russes du XXI Siecle as well as in various international ballet galas. Since July 2011, Nikolai Tsiskaridze is a member of the President’s Council for Culture and Arts. On June 30, 2013 he left the Bolshoi Theatre and on October 28, 2013 was appointed acting principal of the Vaganova Ballet Academy. On November 29, 2014 he was formally confirmed as a Principal of the Academy in unopposed election, winning 227 of the 244 possible votes. Nikolai Tsiskaridze has received the following honours: Silver medal at the Osaka Ballet Competition (1995), Golden medal at the Moscow Ballet Competition (1997), Honoured Artist of Russia (1997), Russian Golden Mask theatrical prize (1998, 2000, 2003),Benois de la Danse (1999), People´s Artist of Russia (2001), State Prize of the Russian Federation (2001, 2003), Order of Honour of the Republic of Georgia (2003), Danza&Danza award as best dancer of the year 2003, Triumph prize (2004), Chevalier de l’Ordre des Arts et des Lettres de la République Française (2006), People’s Artist of North Osetia — Alania Republic (2013).